Using your protractor on point A, measure the first given base angle. Using your protractor again from point B measure the second base angle. 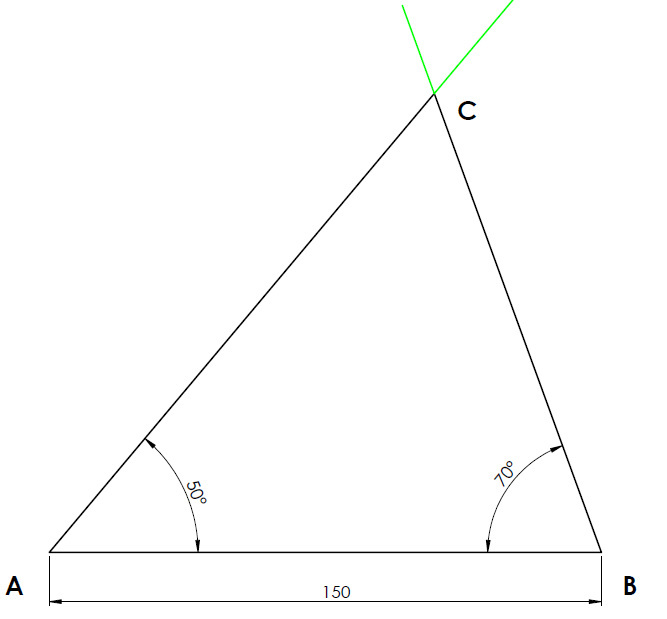 Where these two angles meet create point C and also form the required triangle.